Singapore, 27 August 2014 – In addition to the latest breed of Formula One™ cars on track, die-hard fans can also look forward to reliving some of the greatest moments of yesteryear when the FIA Masters Historic Formula One Championship and Masters HGP bring a 23-strong grid of 3000cc cars to race at Marina Bay Street Circuit next month. Great names like Tyrrell and Brabham, no longer active in the sport, will join familiar names from today like McLaren and Lotus in an on-track history lesson that takes us back to one of the most thrilling and controversial eras in the 66 years of World Championship racing. 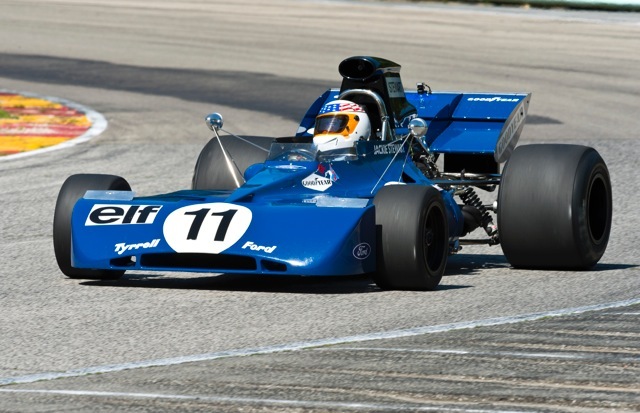 The oldest cars on the grid will date from 1971, when great names like Jackie Stewart campaigned for famous team owner Ken Tyrrell. Tyrrell 002 was the first completely Tyrrell-constructed car, driven by Stewart’s young French teammate François Cévert to win the United States Grand Prix in the season that saw ‘JYS’ win his second drivers’ title. Around the same time legendary Lotus designer Colin Chapman was creating Grand Prix history of his own, embodied in Singapore this year by a Lotus 72 – the beautiful wedge-shaped racing car that was a dominant force in the first half of the Seventies, winning no fewer than 20 World Championship Grands Prix. The year 1976 was also the end of the glorious road for the McLaren M23. It was designer Gordon Coppuck’s first F1 car, and the beginning of a series that went on to win 16 Grands Prix, two drivers’ titles and one for its constructor between 1973 and 1976 – the year that saw an Englishman by the name of James Hunt beat Ferrari’s Niki Lauda to the crown. The youngest car, coincidentally, will be Tyrrell 011 from 1983, but in between sits a raft of evocative names from the period before and after Chapman came up with his notorious ‘ground effect’ technology. In late 1979 the Brabham team achieved a minor miracle, constructing three new cars in a six-week period and giving the BT49 its race debut at that year’s Canadian Grand Prix. By 1981 Brazil’s Nelson Piquet was able to use a Brabham BT49C to supreme effect, winning third time out in Argentina and going on to claim the first of his three drivers’ championships that same year. 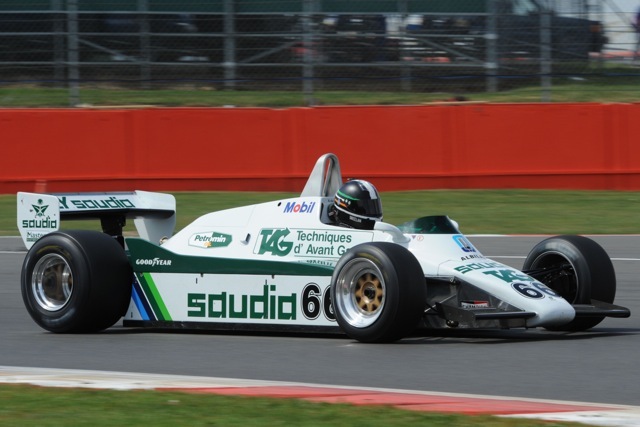 Created in 2004, the UK-based FIA Masters Historic Formula One Championship competes across Europe at famous tracks like Brands Hatch, the Nürburgring and Zandvoort, the most recent round before the ground-breaking visit to Singapore. Singapore GP will be announcing additional track action shortly. Tickets for the 2014 FORMULA 1 SINGAPORE AIRLINES SINGAPORE GRAND PRIX are available for sale at www.singaporegp.sg, via the ticketing hotline +65 6738 6738 as well as all authorised ticketing agents.